The year is 1990; the first Bush is president; the Iraq war is imminent. Rebecca Silver is finishing her freshman year at Berkeley, excited for her summer internship at her father’s radical leftist newspaper, ready to follow in his footsteps and remedy injustice through activism. But then plans change. Her father shuts the paper down, telling his readership he’s doing so “in an attempt to stop pretending I’m having any impact on the horrors of our world.” Rebecca is persuaded to go be a counselor at her cousin Caleb’s utopian camp, Llamalo, in the wilds of the Colorado Rockies. Caleb’s approach is different than her father’s: he wants to change the world one camper at a time, through love and ritual, sending them back into society transformed. Yet there are questions about how Caleb came to acquire Llamalo in the first place, questions about whether he’s a visionary or a huckster, questions about whether it’s possible to be both at the same time. Having grown up grounded in the certainty of her parents’ convictions, Rebecca is forced to grapple with who she is and how to be when that certainty is taken from her, and she has to confront an unjust world without it. 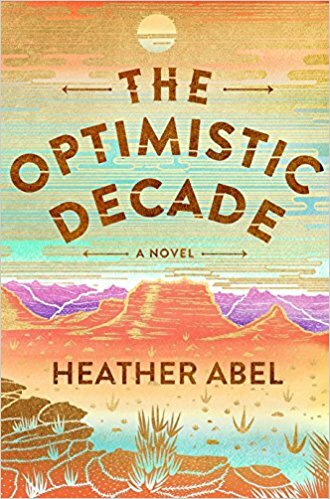 Host Cyd Oppenheimer talks with author Heather Abel about idealism and disillusionment, booms and busts, and why stories matter. Guest readers Kristopher Jansma and Brad Ridky join Oppenheimer to discuss power and privilege, masculinity and mythmaking, and the invention of identity.